An entertaining and incisive assessment of the 43 men—from Washington to Obama—who occupied the White House and left their stamp, for good or ill, on the American landscape. Who were the legends? Who were merely competent? And who will forever be remembered as epic failures? With vivid photography and sidebars on the most memorable first ladies, the most colorful opponents, and the most influential advisers who helped to shape the presidencies of the men they served. 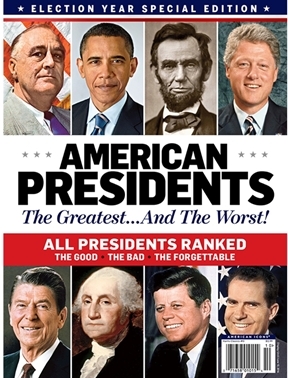 The Presidents ranks every occupant of the Oval Office, offering readers a rollicking romp through American history and ratings with the best and worst of the bunch.